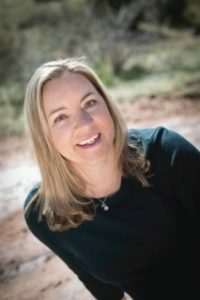 Our family got to visit with some pretty amazing guests in Colorado last weekend. 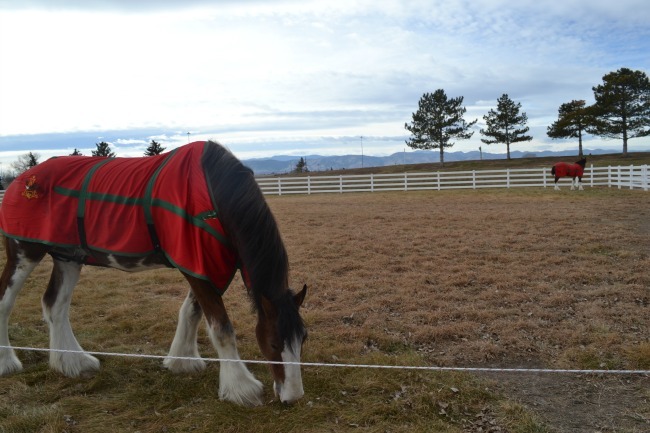 The Budweiser Clydesdales are in town at the Fort Collins brewery. 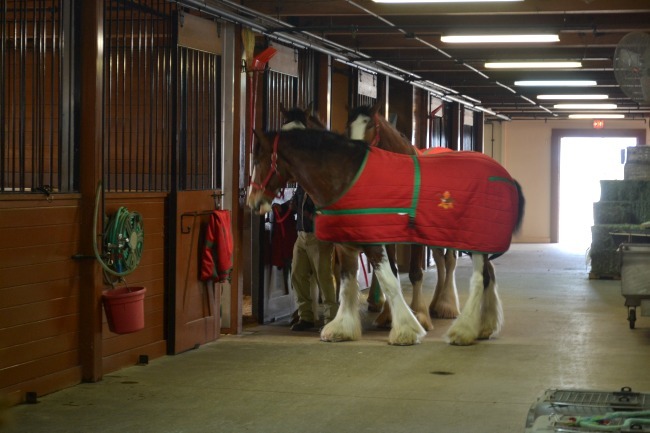 Visitors to the brewery can see the Clydesdales (for free!) 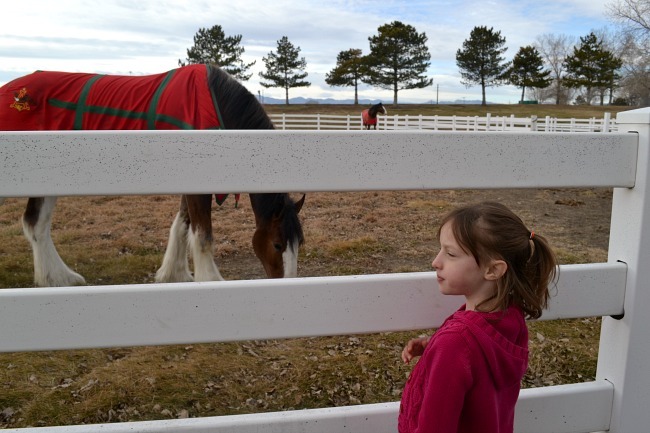 in their stables or grazing out on the field every Wednesday thru Monday from 11am-5:30pm until January 23rd. We had an opportunity to get up close and personal with Nomo as he was headed to his stall from the field. He was a very hospitable guy, and let us pet him and hang out for a few minutes. Nomo weighs about 2,000 lbs and eats around 40-50 lbs of food a day. He and his buddies were just back from the Rose Bowl, and spend a lot of their time meeting people around the country and pulling the iconic wagon in parades and at other public events. 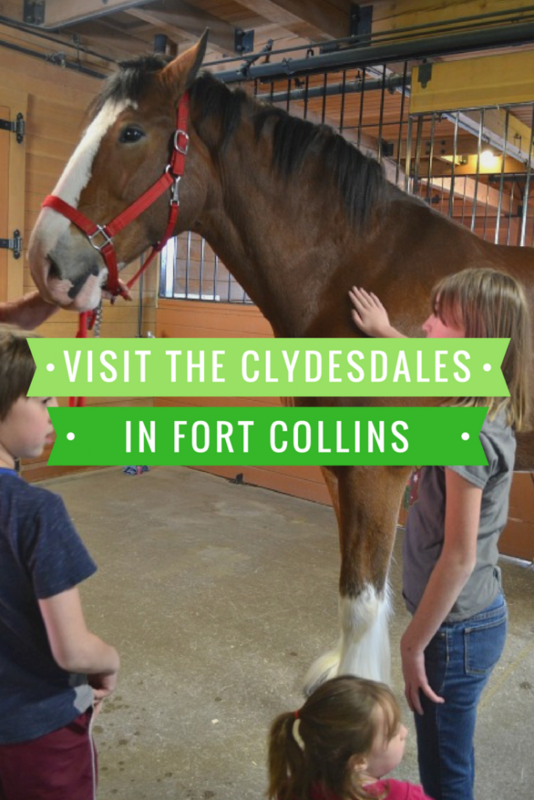 If your kids are interested in Clydesdales, we found a few more fascinating facts here you can read over with them! The brewery also offers free tours of the facility, and there is a Biergarten where you can purchase burgers (the Biergarten burger was delicious! ), brats, fries, and the like. After our morning visiting Nomo and his friends, we wandered downtown Fort Collins for a bit, window shopping and grabbing some coffee for the grown-ups before heading home. It’s always a fun way to spend a Saturday…and when you have little kids, the ride home is a guaranteed nap after a day of activity! While those are the posted hours and times, it’s always a good idea to call or check the brewery website before planning a trip.